As with any type of physical activity, it is very important to warm up the body before engaging in your spring-cleaning routine. You can prepare your body by walking around the house or doing some simple stretches to help prevent injury. Think back to the last time you did groceries. Did you try to carry all the bags into the house at once, instead of taking multiple trips to the car? We know how tempting it is to make fewer trips, but you may be risking an injury. Take the extra few minutes and only carry a few bags at once. Don’t drive? Consider investing in a cart or buggy rather than carrying heavy bags. Do you save chores for your day off and ambitiously power through your list? You may find that dedicating 30 minutes every day to your household tasks can decrease your stress and risk of injury or fatigue. Bonus: by getting a little bit done each day, you will have more time on the weekend for fun activities with family and friends. Vacuuming and mopping the floors often require excessive bending, reaching and twisting. Rather than stretching out your arms and bending at the waist to do the job, hold the vacuum or mop handle close to your body and walk back and forth with it. 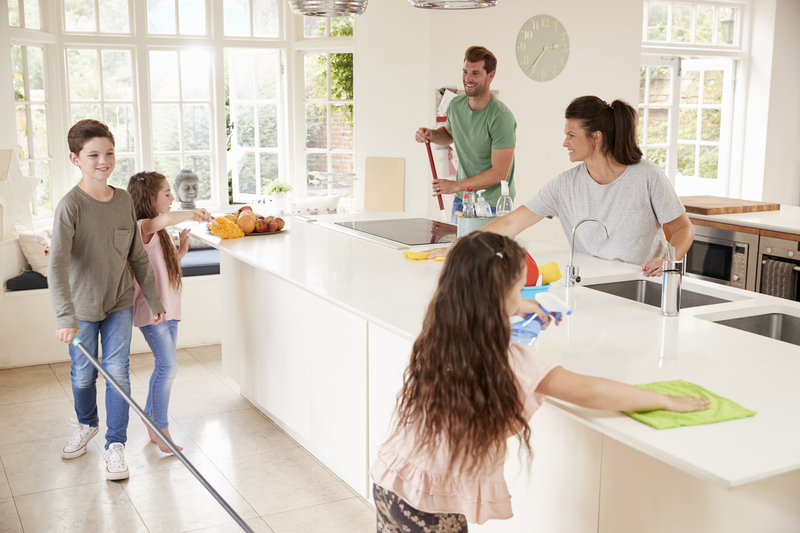 Avoid excessive twisting and keep a relaxed, neutral spine while doing these chores. Your back will thank you! To prevent unwanted strain on your shoulders, neck, and back, use both sides of your body to do your spring cleaning. Every once in a while, consider cleaning the bathroom tiles or washing dishes with your non-dominant hand. With these tips, you can feel confident in tackling your to-do list safely and effectively. However, if an injury does occur, visit a chiropractor to get your spine back in working order.